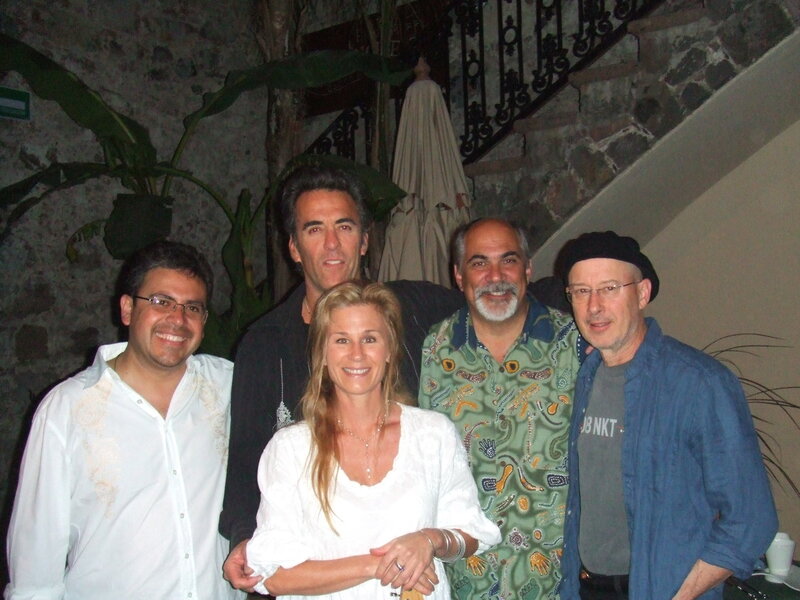 I just returned from a week long sojourn in San Miguel de Allende, Mexico. I was booked to perform 4 shows following their annual jazz festival, which I played 2 years ago with Marcia Ball and Oscar Castro-Neves (guitarist on “Girl From Ipanema and Black Orpheus!). 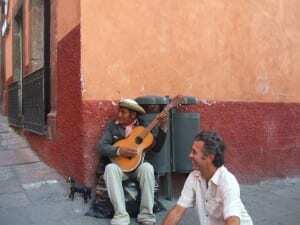 San Miguel is a really cool artist/music town in the mountains of central Mexico. Our band was stellar with Rick Schlosser on drums (Van Morisson, Rod Stewart etc.) 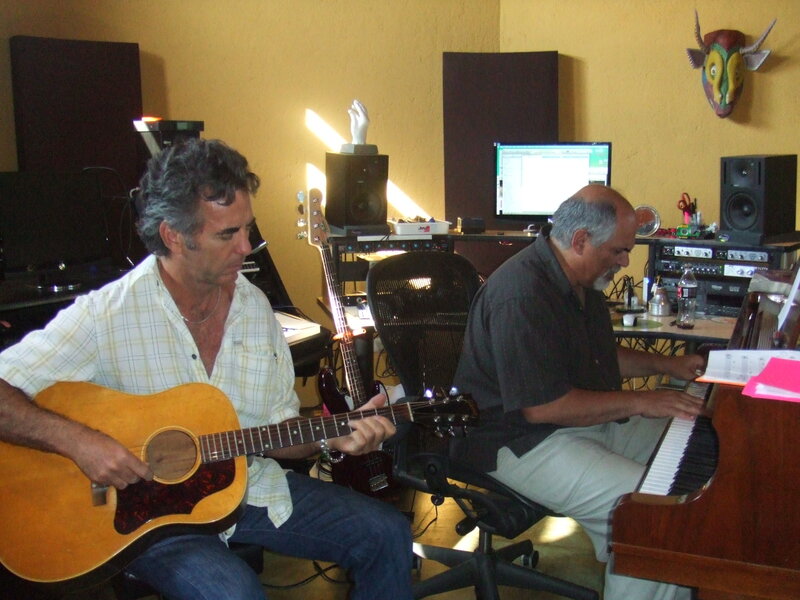 Doug Robinson on keys(phenomenal musician and Musical Director for these shows) and Antonio Lozoya (director of Jazz Festival) on bass. We had a great dinner together and discussed Keith’s new book “Life” which if you haven’t read yet y’all should check out. I played a funky version of “Honky Tonk Women” in G tuning of course…in honor of our man Keef Riff Hard…what a legend! I must say it was great to arrive in this amazing town and have the band super tight on all my material, it got better each night. On my final day I went to Doug’s studio outside of town and recorded a new tune called “Every Once in a While” that turned out great. 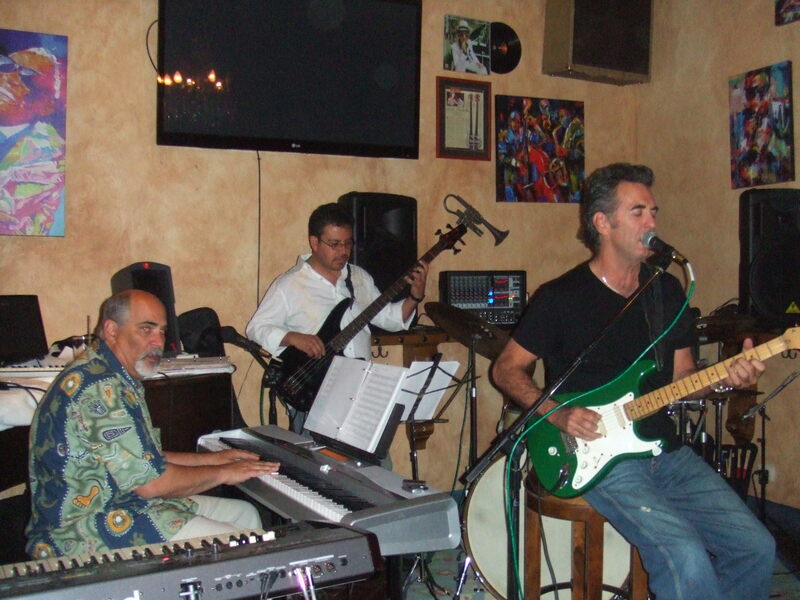 I ll be posting some pix and videos and am excited about our new project “Eclectic Electric” coming out Jan. 25th 2011…Stay tuned. JD and Doug Robinson in the studio. Thanks for the kind words, Jimmy! It was a gas playing with you–great soul, great rock. Looking forward to the next time–love to Kelli! Thank you for sharing all these wonderful techniques with us. You have a heart of gold! God bless you! Just discovered your site…I am anxious to work on your lessons. Thanks! Thank you so much, you’ve gotten me excited about music I don’t even like. I wish I had just a little f your talent.